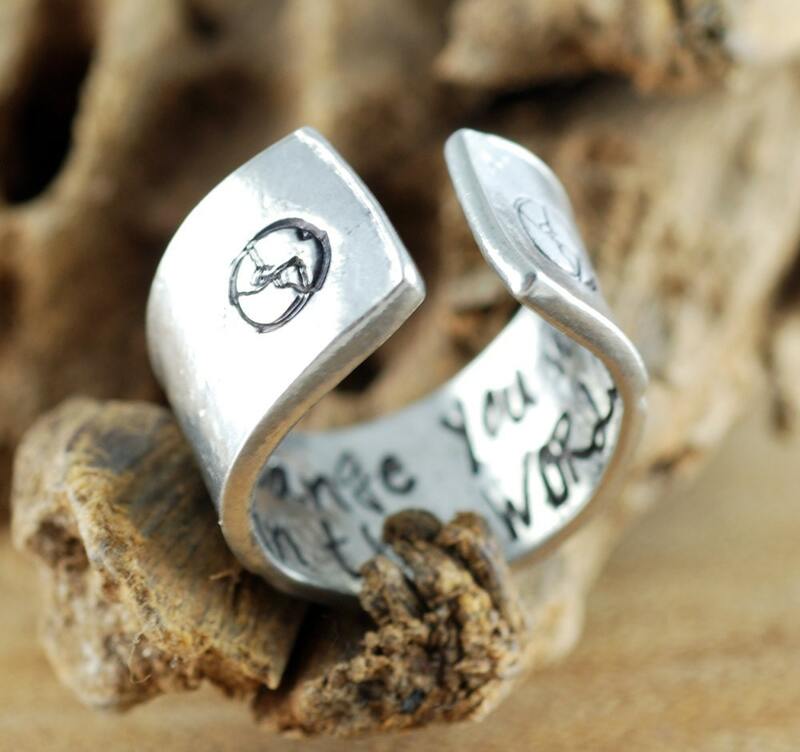 Make a statement with our Secret Message Pewter Cuff Rings. 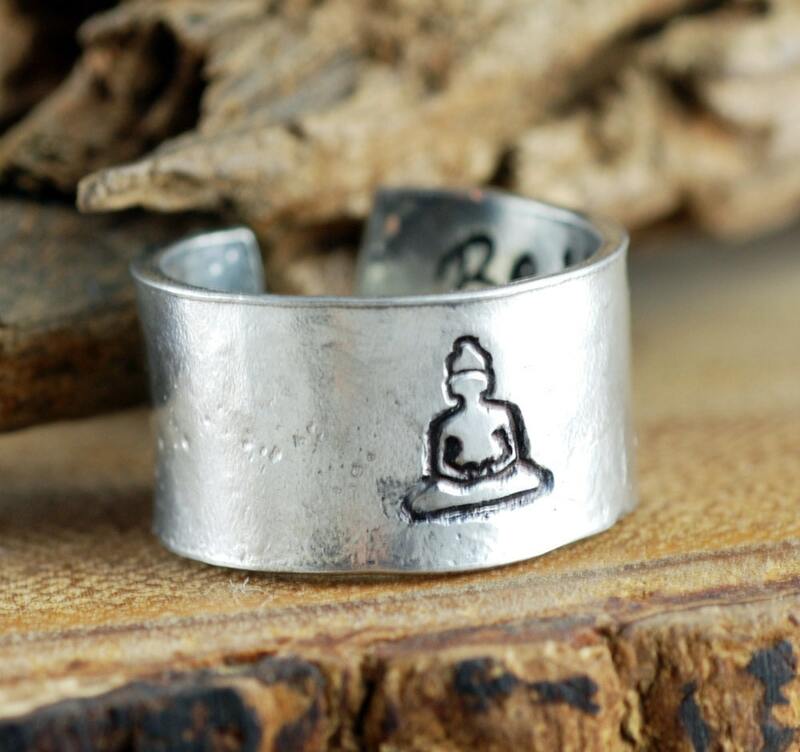 A symbol of a Buddha is stamped on the out side of this ring. 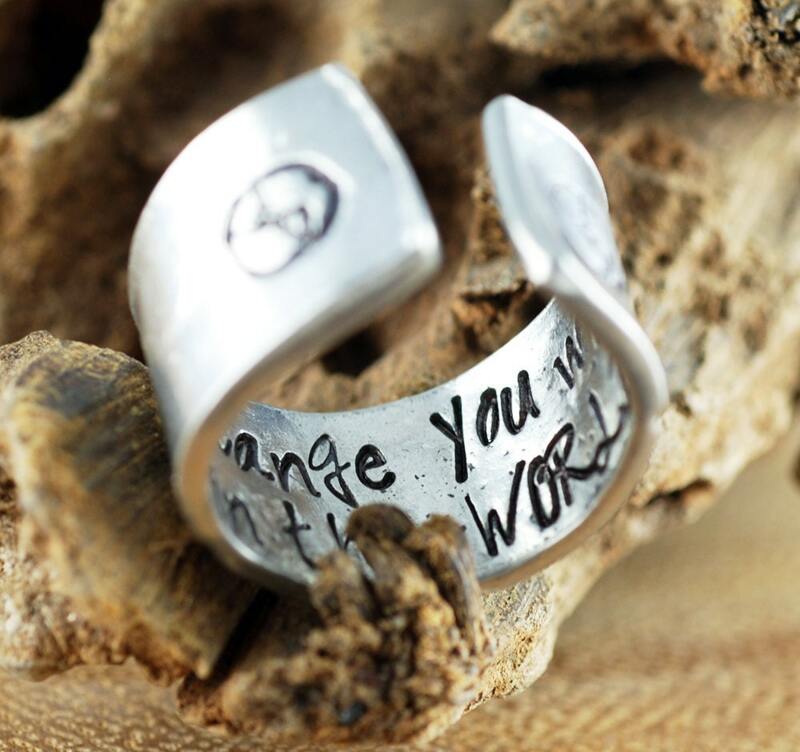 A Secret message (of your choice) is stamped on the inside. 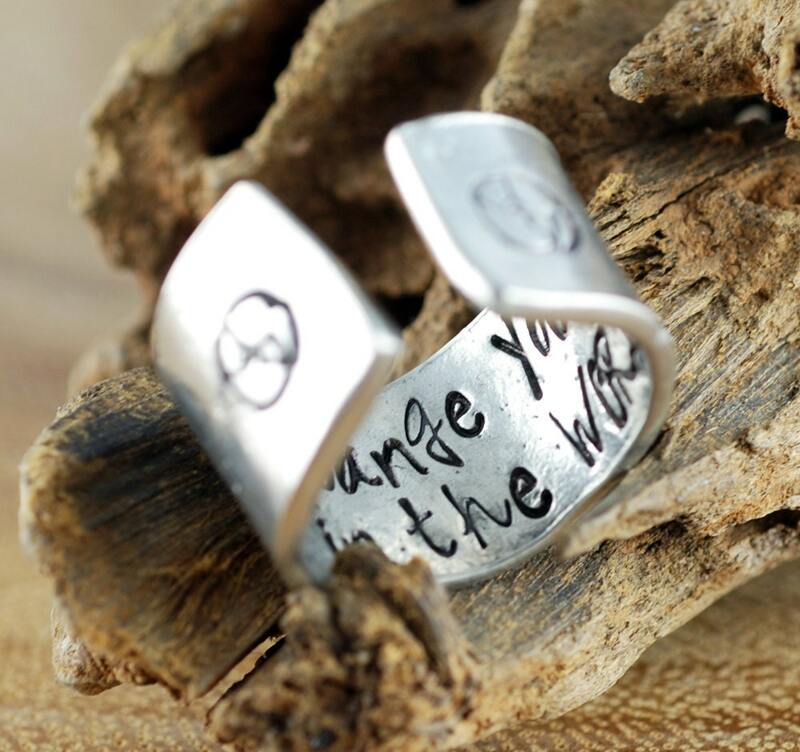 This particular ring has a secret message that says Be the Change you wish to see in the World.